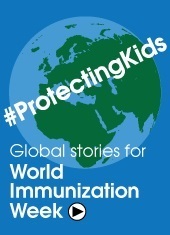 Although child immunization rates have risen globally to over 80%, they have stagnated for the last several years. Moreover, they are lower in poorer countries and among the poorest children, even in countries that have achieved relatively good coverage. Children are missed for a variety of reasons – because their families lack information or access to services. Or because they are brought for vaccinations, but stock-outs and poor vaccinator decisions leave them unimmunized. Unfortunately, coverage of 80-85% is not high enough to prevent disease outbreaks, particularly of highly contagious and deadly diseases such as measles. This is a complicated challenge that requires various solutions. Strengthening links with the community is one of five components of the Reaching Every District (RED) approach, but its implementation has been spotty. However, there is a growing body of evidence that community engagement is feasible for district teams in Africa. By inviting and facilitating community participation, health services and communities can work together to move coverage levels upward. The involvement of community leaders and community health volunteers in micro-planning can improve the likelihood of planned vaccination sessions reaching more children. Their collaboration increases a sense of shared responsibility and the likelihood that communities will hold services accountable. 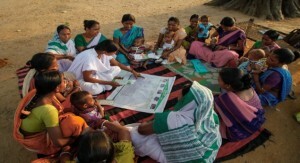 Trained community members can inform families about immunization and respond to questions and concerns. They can help with crowd control, deliver vaccines and caregivers with their children, complete registers, and ensure understanding of side effects and follow up visits. Social mobilization, including providing clear and accurate information and addressing concerns, is critical to maintaining and increasing coverage rates. Feedback from community members can improve acceptance and uptake. We see this already happening through joint micro-planning, and believe there is untapped potential through additional avenues, like text messaging. Communities can also monitor the immunization status of their children, either with a “due list” from the health facility to identify and track children needing vaccinations, or by maintaining their own registry. Despite growing recognition of the advantages of partnering with communities in recent years, there remains a wide scope for encouraging engagement in more places and in more ways. One barrier may be the persistent belief that immunization is a simple service-provision task: provide the service and people will come. 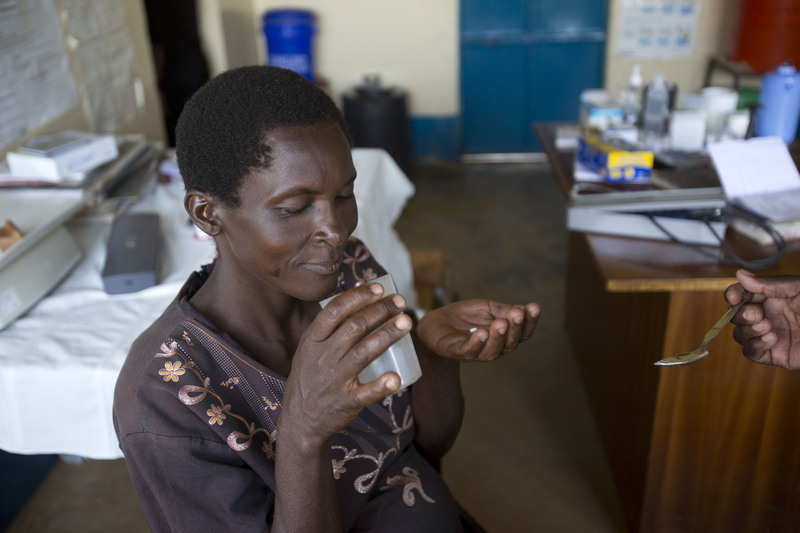 In addition, stimulating and maintaining community engagement can be challenging for health workers. They may need to devote additional time and effort for meetings, work with people of divergent points of view, and deflect community requests that require resources that are not available. They may be asked to provide services at inconvenient times and places, and required to be away from home in remote, difficult-to-reach areas. MCSP has proposed the use of the “My Village My Home” (MVMH) tool. Developed by USAID’s Basic Support for Institutionalizing Child Survival project, the tool demonstrates that do-able approaches exist and lead to tangible benefits for protecting children from vaccine-preventable diseases. USAID’s predecessor Maternal and Child Health Integrated Program promoted the tool as a way to record the births and vaccination dates of every infant in a community, and positive experiences using the poster-sized tool in Timor-Leste and India were recently published. Introduction of the MVMH tool in 5 districts of India and 30+ villages in Timor-Leste allowed community leaders, volunteers, and health workers to monitor the vaccination status of every young child and make targeted reminder and motivational visits. In India, pilot communities had 80% or higher coverage of eligible children for all vaccines vs. overall district coverage of 49% to 69%. 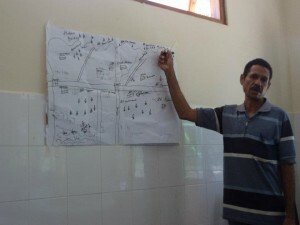 In Timor-Leste, both the number of infants identified and immunized rose substantially with use of the tool compared to the previous year. While there are challenges to community engagement, the MVMH experience proves the power of the bringing together community members and health workers to expand coverage. To learn more about the MVMH tool, click here and watch the video below.